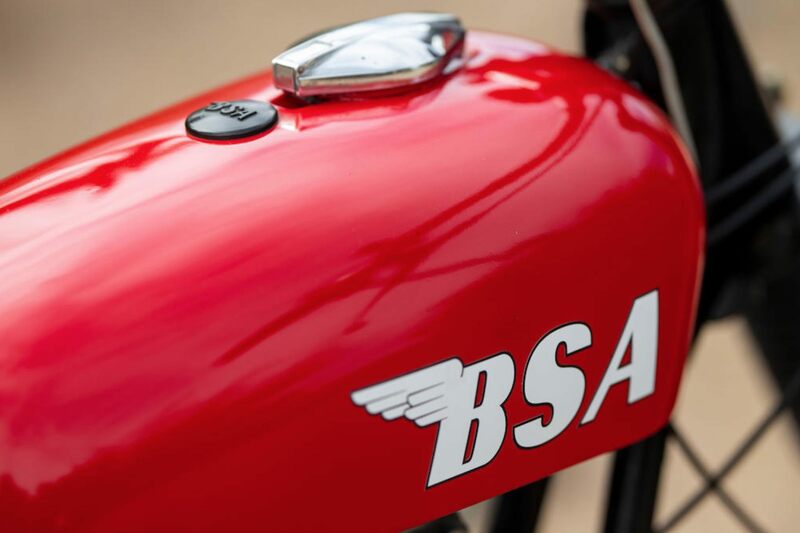 The BSA Hornet was developed on the same A65 platform as the British motorcycle marque’s Lightning model, to satiate demand from the United States for a stripped back desert racer to compete with the Triumph TR6C and the Norton P11. 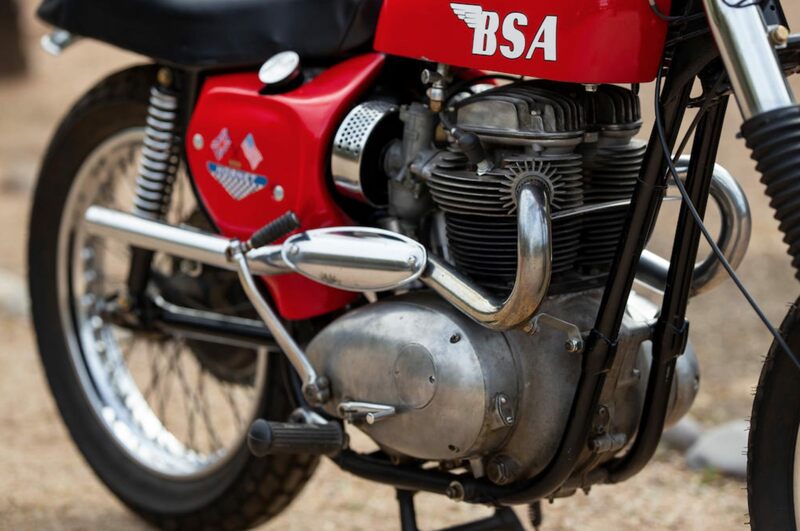 BSA would sell the Hornet in two main iterations, the Spitfire Hornet of 1964 and 1965, and the Hornet (sans Spitfire) in 1966 and 1967. Off road racing motorcycles of this era were largely street motorcycles that had been adapted for the rigours of dirt riding, often with knobbly tires, wide and braced handlebars, a thick seat, a high exhaust with no silencer, and weight reduction measures that often included removing the headlight, speedometer, tail light, and anything else not essential. 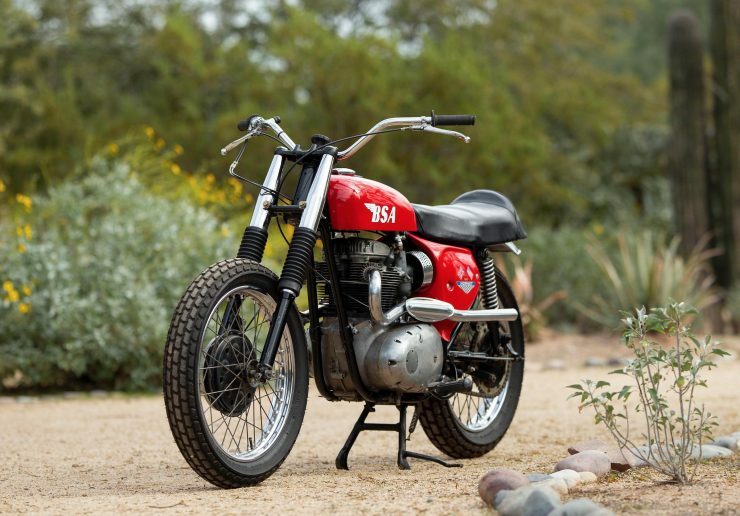 Compared to modern motocross and enduro motorcycles, the scramblers of the ’50s and ’60s were primitive but still effective. 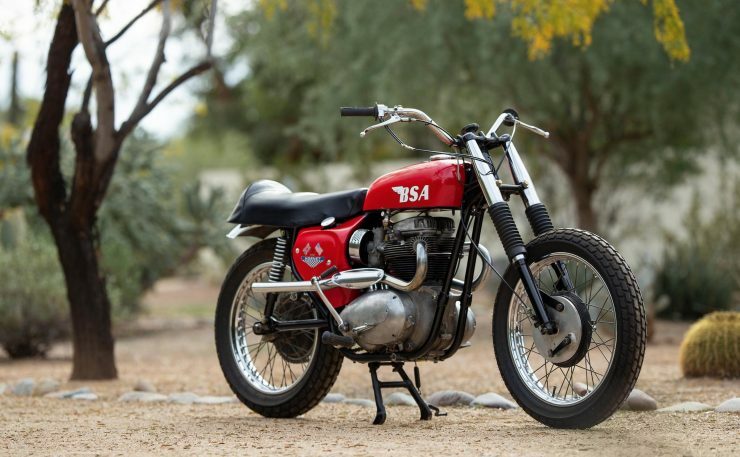 Races made up of dozens and sometimes hundreds of motorcycles tore across the deserts and wilderness regions of the USA as the sport skyrocketed in popularity – it would evolve into the motocross and enduro racing we all know today. 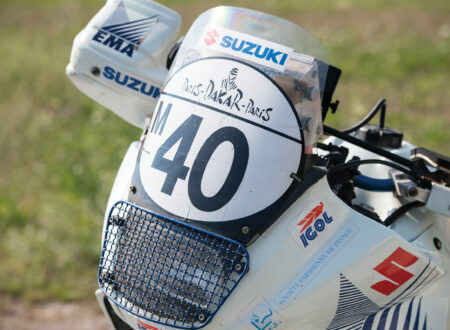 The British were by far the most dominant force in off road motorcycle racing at the time with their large single and parallel twin cylinder bikes with simple air-cooled overhead valve motors, drum brakes front and rear, and some variation on either twin rear shocks or a hard tail rear, with telescopic shock absorbers up front. When BSA laid out the plan to build their own factory desert sled to appease demand from dealers in the USA they started with their popular Lightning model with its 654cc parallel twin with overhead valves, unit construction, and a 4-speed transmission. 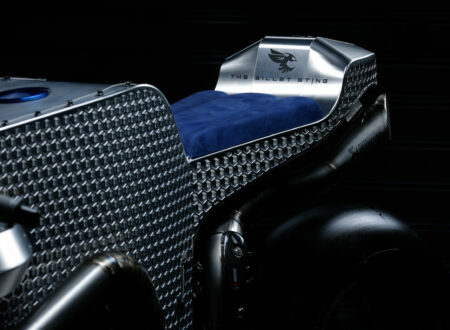 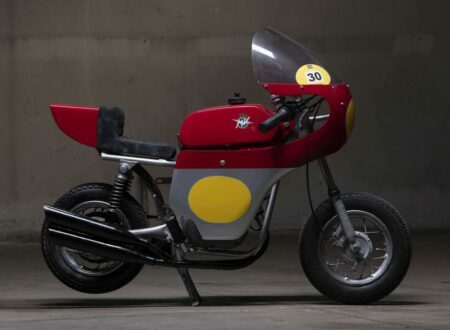 A new high-performance racing cam was fitted along with high-compression pistons and a straight-through exhaust with high scrambler pipes or low TT pipes offered, horsepower was notably increased (however we’ve been unable to find reliable figures or a dyno chart). 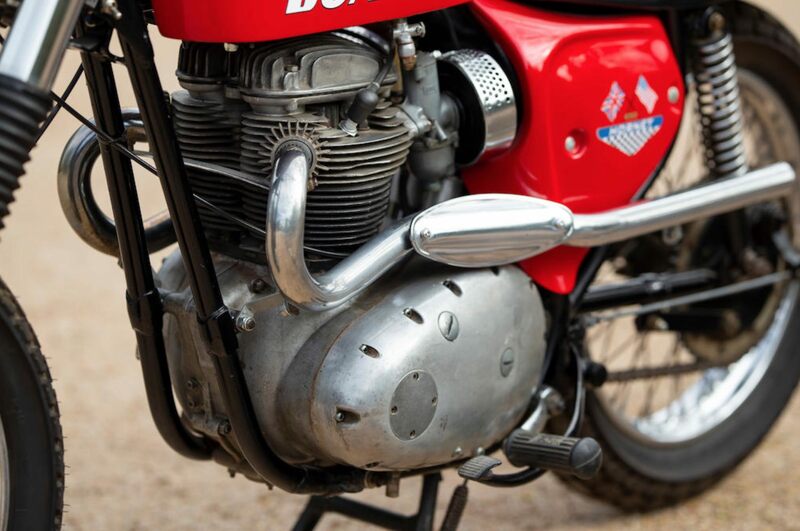 The gear ratios were altered for better acceleration at the expense of top speed, and the drum brakes had cooling fins added. The headlight and running lights were removed, the speedometer was removed (the tachometer remained), and the weight was reduced from 395 lbs (dry) to 380 lbs (dry). 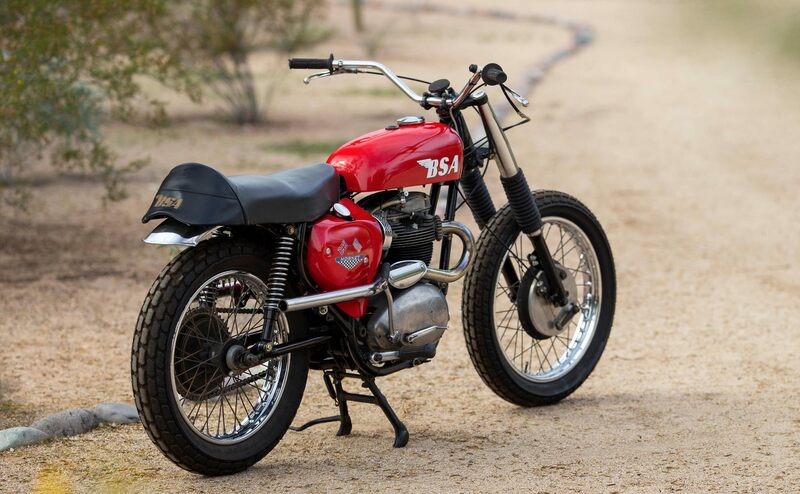 Each BSA Hornet left the factory with a set of Dunlop K70 Gold Seal tires and either a Mandarin Red or a Cherokee Red paint scheme. Due to the fact that the Hornet (and the Spitfire Hornet) weren’t fitted with lights or a speedometer it wasn’t possible to road register them, however may owners fitted their own lights and a BSA Lighting speedo to appease the DOT and get their license plates. 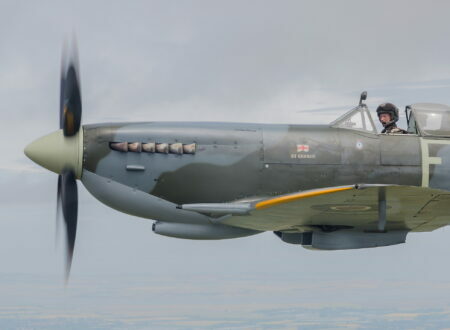 The Hornets that have survived to the current day without being crashed in the desert or scrapped are rising in value and collectibility, and some have taken to racing them in vintage classes against their traditional rivals from the era. 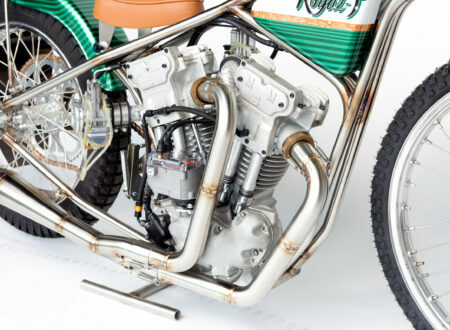 The Hornet you see here is an ex-racer that’s been restored very close to its original factory-specification with east coast high-pipes. The front fender has been deleted along with the tachometer, and the ignition key has been removed and replaced with a simple toggle switch. 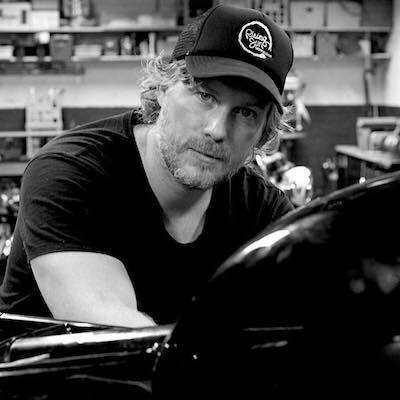 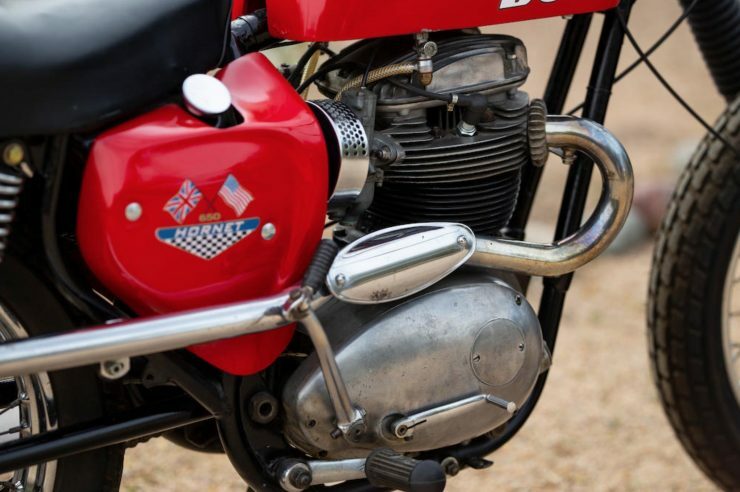 The original and oftentimes troublesome ignition system and could have been replaced with modern units by Boyer, and sound attenuators have been installed in the exhaust pipes. 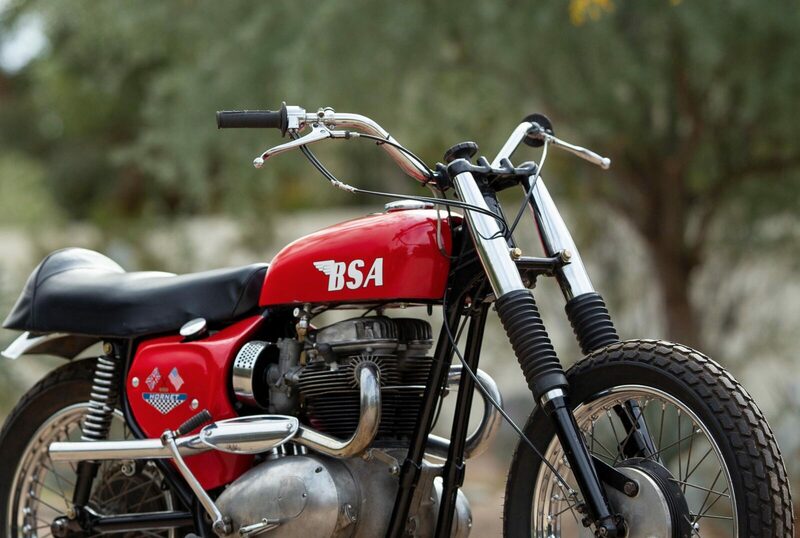 The red fuel tank now carries non-original BSA decals, and the oil tank has the period-correct “dual flag” decals. 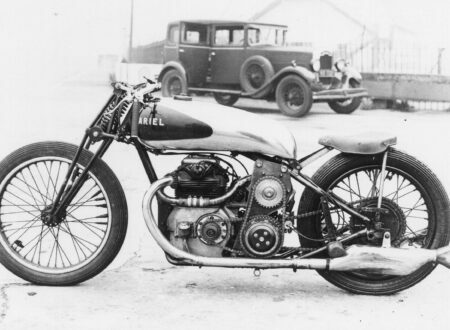 This motorcycle is currently fitted with flat track tires, a possible clue to its past use, with wide handlebars, and a clean front-end thanks to the lack of headlight or gauges. 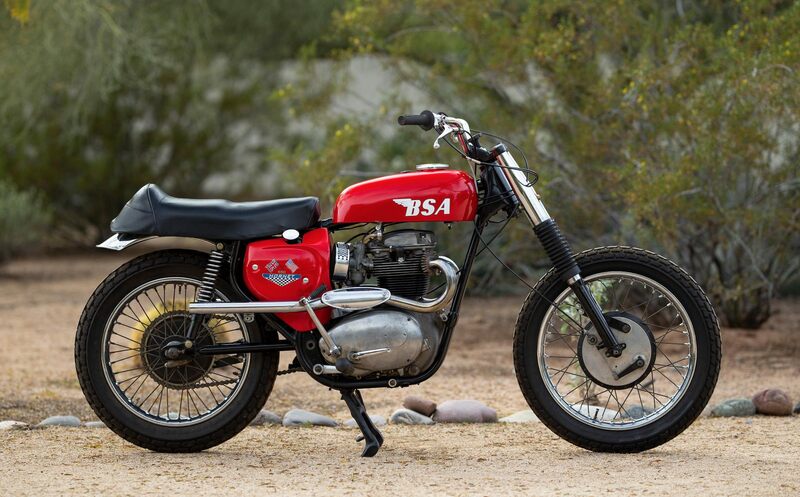 If you’d like to read more about this BSA or register to bid on it you can click here to visit the listing on Bonhams.